The marquee in the grounds of Zinnia Gardens is a wonderful location for your wedding reception. 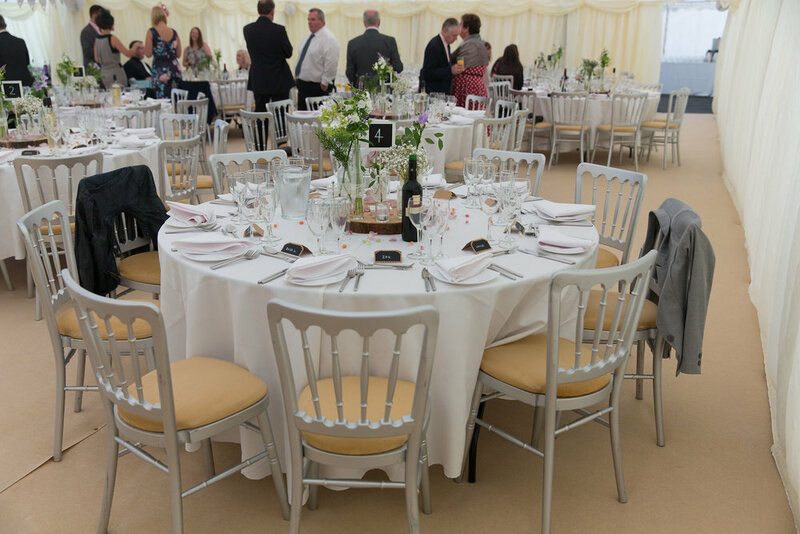 Different sizes of marquee can seat up to 300 or more guests comfortably, with separate areas for food preparation for for your evening entertainment DJ or band to set up out of sight. Located in the countryside near Banstead, yet offering views over London, this spectacular venue offers a variety of different sized marquees to fit in with most weddings, as up to 300 guests or more can be accommodated in comfort. The tree lined views, gardens and open paddocks offer plenty of space for your guests, and for fantastic wedding photography. The marquees are well constructed with wooden floors and dance floor, chandeliers and satin drapes. Bar and caterers can be provided along with the on site event manager and parking attendants. 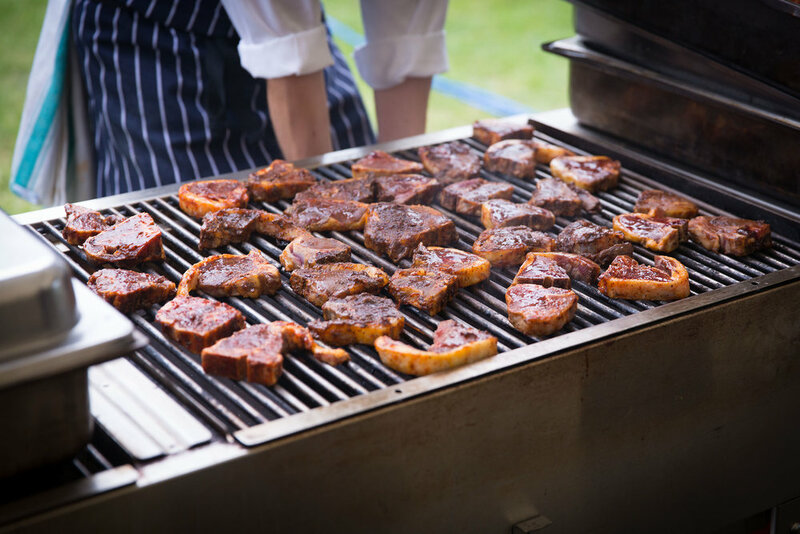 The preferred caterers provide excellent food with many cuisine options available, but there is always the option to provide your own catering. 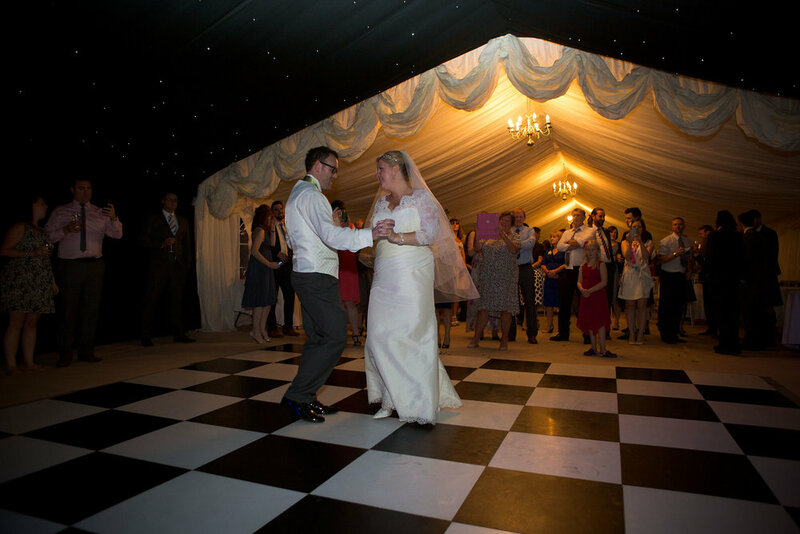 The marquee can be split into separate zones to allow your wedding reception to proceed quickly and efficiently - you and your guests have and entrance area and bar, leading through to the main seating area for your wedding breakfast. The caterers have a separate food preparation area out of sight from your guests and the band and/or DJ can be set up in the evening area complete with black ceiling and "stars" ready to be unveiled at the right moment to kick off your evening reception. There is plenty of space to accommodate a band, DJ and large dance floor in the area provided for your evening reception. Dance music must finish by 11pm unless other arrangements have been made. In summary, Zinnia Gardens is a great wedding reception venue offering views of London, plenty of space and parking, friendly and efficient staff, fantastic food all in a convenient location which will look fabulous in your wedding photographs. There is no on-site accommodation so you might need to research local hotels for your guests to stay at. You can't actually get married here but you want a church wedding then this is a great reception venue, or you can do a short "official" ceremony in a registry office and then have a friend or celebrant perform an outdoor ceremony for you at Zinnia Gardens followed by your reception.